When the heavens burst and rain inundates Metro Manila, motorists are split into two camps: the have-ground clearance, and the have-nots. Upon seeing a flood, the former just power on, rainy day Spotify playlist streaming in the cabin, and go home safe and dry. The latter look at the water anxiously and see repair costs and leptospirosis flash before their eyes. They get home after a few hours, tired and stressed. So in the past few years, ’wading depth’ has become a marketing buzzword in truck and SUV circles. 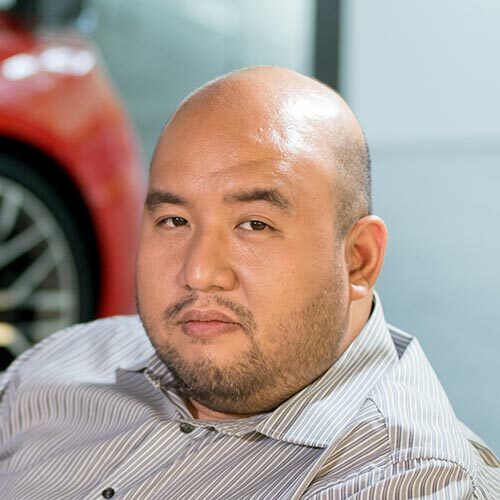 In local parlance, “para sa baha.” Next to fuel economy, customers ask sales agents how deep a flood their product can handle. 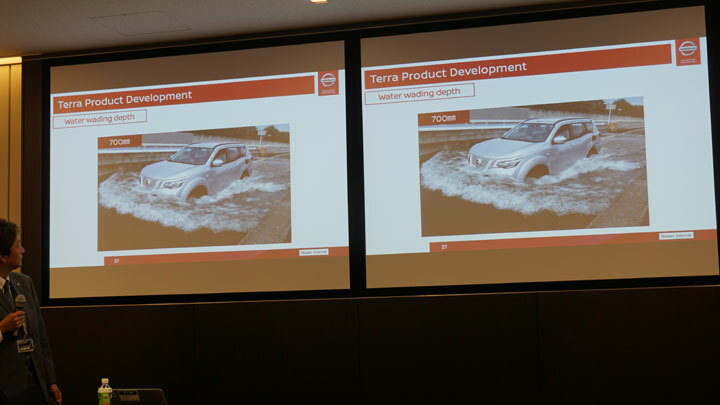 As the newcomer in the segment, the Nissan Terra faced the inevitable question of wading depth. And the number its manufacturer initially gave was 450mm, which was far below what competitors are claiming. 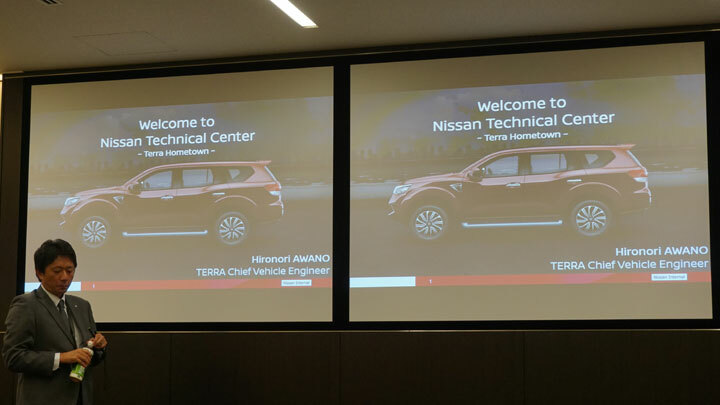 During a recent visit to Nissan’s Technical Center in Kanagawa, Japan, Terra chief vehicle engineer Hironori Awano gave an enlightening presentation on the real capability of his midsize SUV. 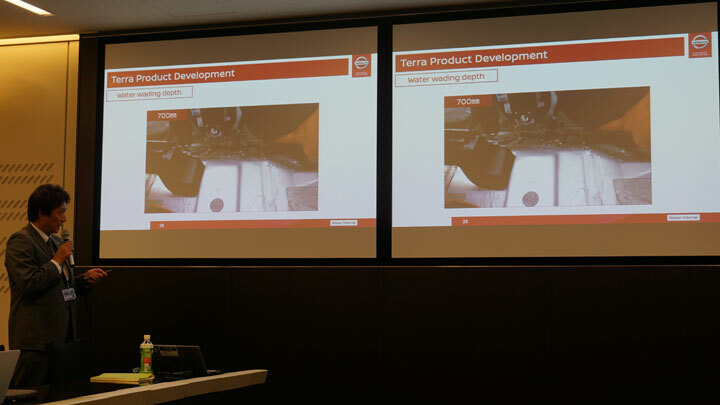 He showed a video of the Terra in front of a specially built, artificially flooded test course, that can be programmed with specific depths of water. The first depth was stated to be 500mm, and the clip showed the Terra traversing it easily. 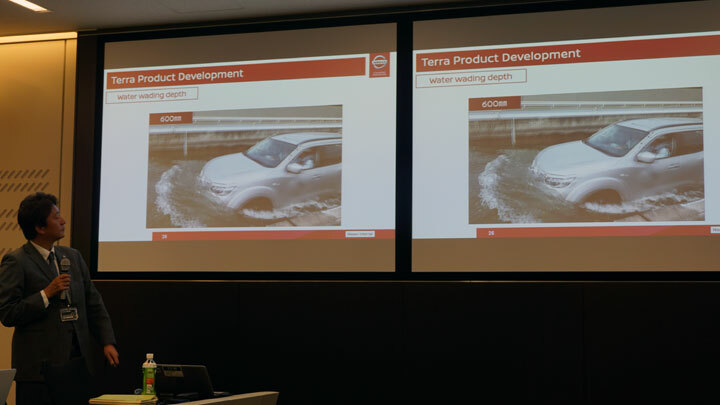 Then the artificial flood was raised to 600mm, and the Terra soldiered on, and you can see it pushing water that was just a few centimeters from the top of its hood. By now we could see where this was going, and we eagerly awaited Awano-san’s next slide. Nissan’s midsize SUV now faced an artificial body of water that was 700mm deep, the reported limit of the Toyota Fortuner, but still 100mm shy of the claimed wading depth of the Ford Everest. 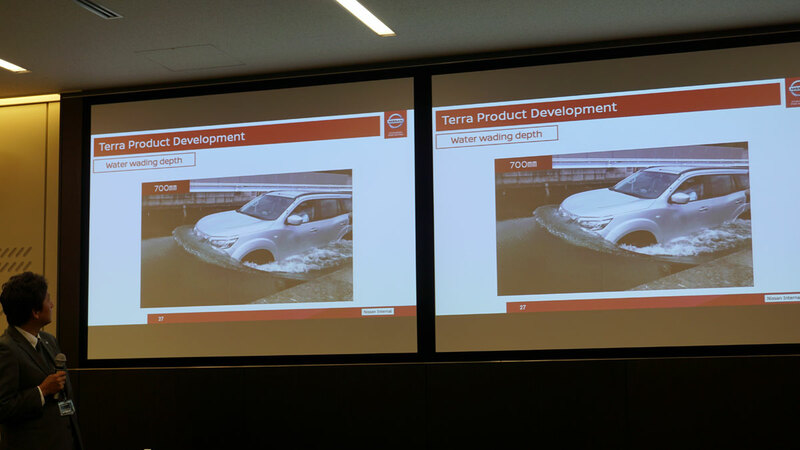 The Terra dived forward, the water now almost covering the front grille. It seemingly survived and clambered up from the water. But in Awano-san’s next slide, a view from the Terra’s cabin was shown. At first nothing happened, but after a few minutes water began to seep in from the outside, entering under the door. The Nissan’s limit had been reached. So what did we learn? The first lesson here is that while wading depth is nice to know, its use in real-life situations is very vague. Real floods are unpredictable, uncontrollable, and constantly shifting. The DPWH doesn’t give ratings or specifications on how deep a street can be, so you can’t mentally check if your truck can handle it. Factor in water ripples from other trucks and buses, and the 100mm advantage with other models might not be so big after all. Next, it took time for the water to enter the Terra at 700mm. Liquid didn’t begin gushing in as soon as the body hit the water. We weren’t able to time it, but it seemed more than two minutes. That’s enough time to cross many flooded streets in the metro. 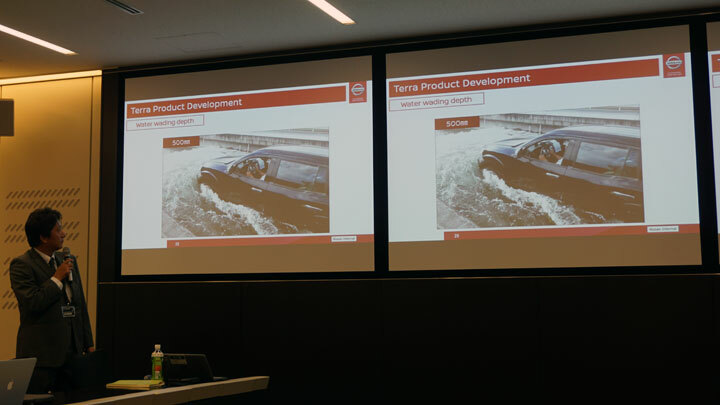 In the end, we saw (on video anyway) that the Nissan Terra can handle floods up to 600mm, and up to 700mm briefly. If you’re drawn to the Terra and you live in flood-prone areas, then you should be glad to know that it can do much better than 450mm. 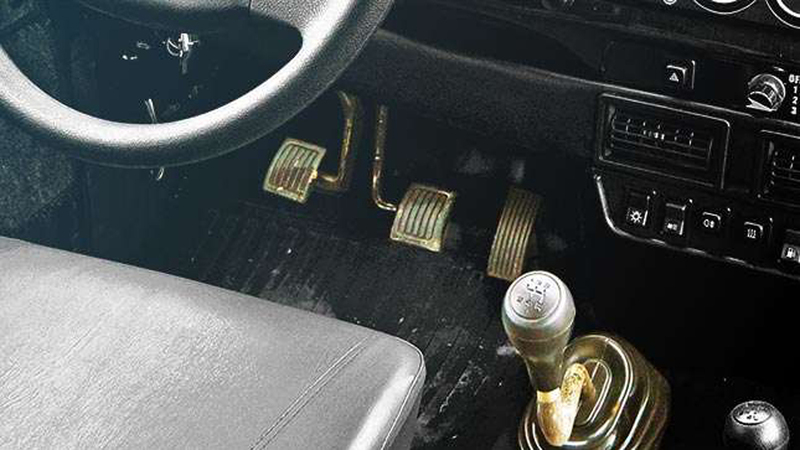 But if you want more peace of mind and you really want your car’s cabin to stay dry, other dealers will welcome you. 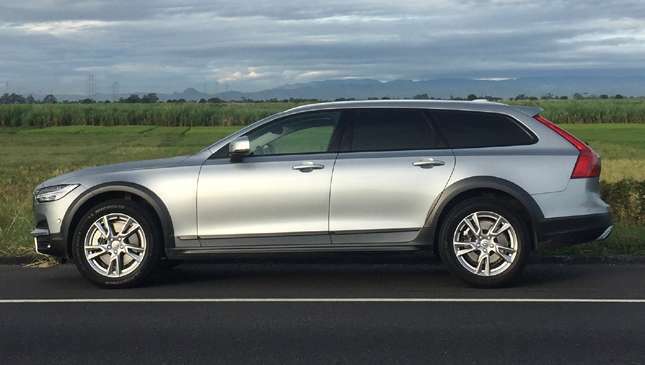 But maybe what you should really consider is, knowing that inches separate the water-fording abilities of these SUVs, if the worst happens, and we say this without bias or suggestion, which brand can take care of your flooded vehicle the best?